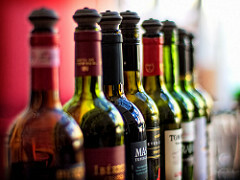 Wine fraud only seems to matter if the wines being counterfeited are well-known labels. Robert Joseph wonders why in Meininger’s. In the New York Times, Eric Asimov announces what’s up next in Wine School: Valtellina. “It’s a hard wine to review. I’m aware that the consumer champions will be looking for any negative comments I make so they can dismiss me as a wine snob. And many of my professional colleagues will be looking for any positive comments, so they can beat me up for giving a big brand an easy ride.” Jamie Goode reviews Meiomi Pinot Noir 2017. In SevenFifty Daily, Katherine Cole profies iconic Bay Area importer Martine Saunier, who discovered virtuosos like Henri Jayer and ushered in a new era of boutique French wines. Jill Barth offers a guide to wine certification programs in Wine Enthusiast.